When your heart skips a beat occasionally, it can be harmless. However, if your heart skips a beat frequently, it may be a sign that there is something wrong. The feeling that your heart is beating irregularly can be concerning. This can feel like a jumpy irregular heartbeat which may make you catch your breath or feel slightly dizzy. In many cases, this is caused by heart palpitations that cause the heart to beat out of sync, causing a fluttering or pounding sensation. However, there are other conditions that may cause this sensation, so it is important to take note if your heart feels as though it is not beating properly for a long period of time or you get this sensation quite often. When your heart skips a beat, it can feel as though your heart has stuttered for a moment. It can feel as though you cannot catch your breath or you may feel a sudden pounding sensation in the chest or throat. The heart may suddenly have a fluttering or jumping sensation that can feel slightly uncomfortable. You may find yourself suddenly very aware or your heartbeat which can be cause for alarm. Heart Skipping Beats Frequently, Why? A number of conditions may cause the heart to start beating irregularly. Some require more medical conditions than others, so it is important to look at the accompanying symptoms when you are working to diagnose your condition. Heart palpitations are one of the most common causes of the fluttering sensation people refer to as the heart skipping a beat. This can feel like you have skipped beats or your heart stopped beating for a few moments. It can also feel as though you are suddenly very aware of your own heartbeat because it is racing or there is a pounding sensation in the neck, throat or chest. This can be caused by diet pills, excessive exercise, fever, high use of illegal drugs, caffeine or nicotine or anxiety and panic attacks. In more severe cases, this could be a sign that you have an abnormal heart valve, overactive thyroid, low oxygen levels or heart disease. Patients that suffer from heart skipping beats frequently by heart palpitations are advised to reduce their caffeine or nicotine intake. They are often told that they should not smoke and may need to adjust their diet to include more heart friendly foods. If you are frequently stressed your doctor may recommend that you take steps to help you better manage your anxiety. Yoga, meditation or medications may be good ways to keep track of your condition. Getting regular exercise can also help balance out your heartbeat to avoid such complications. 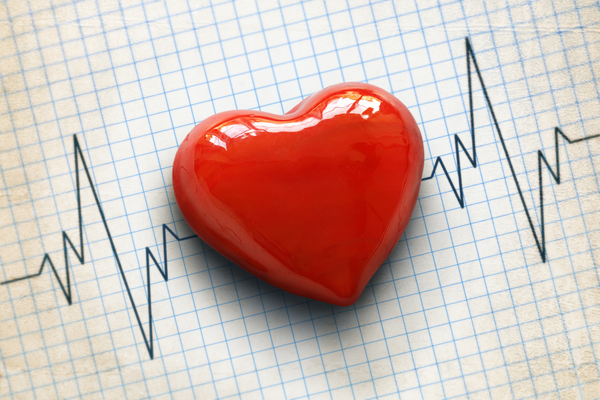 Arrhythmia is a condition that causes the heart to have an abnormal rhythm. This can be caused by a number of conditions that affect the body as a whole. The electrical signals that control the heart may not be working properly, causing the heart to beat irregularly. You may also be receiving different messages that tell your heart to beat faster or slower, causing difficulties in managing your heartbeat at a steady speed. Regularly taking drugs that affect the nervous system, beta-blockers, consuming alcohol, caffeine or stimulants or taking medications used to treat psychosis or depression can also contribute to this condition. If you are dealing with heart arrhythmia, you may notice chest pain that is accompanied by light-headedness or shortness of breath. You may begin sweating, turn pale or feel dizzy. In some cases you may faint. In order to manage heart arrhythmia, you may need to undergo shock therapy to attempt to force the heart back onto a normal rhythm. You can also take medications that help to steady the heart rate, not allowing it to get too low or high. In some cases where the heart is not beating correctly the patient will have a pacemaker, implantable cardiac defibrillator or cardiac ablation installed to help manage their heartbeat. Tachycardia is caused when the heart is beating faster than it should. This is often accompanied by a rapid pulse rate, heart palpitations (with symptoms like heart skipping beats frequently), chest pain, shortness of breath, lightheadedness, chest pain and fainting. In some cases patients will have no symptoms, but the condition will be noted during a physical examination. Tachycardia is caused by something disrupting the normal electrical impulses that control the heart. This can be caused by high blood pressure, excessive intake of caffeine or recreational drugs, smoking, damage to the heart, imbalance of electrolytes, overactive thyroid and others. Medications may be prescribed to help manage this condition, helping to block the channels that can raise the heart rate. You may also need to have surgery to correct the electrical pathways controlling your heart or to have an implantable cardioverter-defibrillator or pacemaker installed. Premature heart beats are caused when the electrical sensors of the heart overact and cause the heart to beat earlier than expected. This is a type of arrhythmia that can cause the heat to fill with blood while it is sitting still, then force it out with an excessively large heartbeat. Premature heartbeats are frequently caused by lack of sleep, excessive amounts of exercise, high intake of nicotine or caffeine or high levels of stress. Premature Ventricular Complex (PVCs). Premature ventricular complex causes excess heartbeats when the lower part of your heart gets out of sync with the upper part of the heart. This can cause an uncomfortable flip flopping sensation that may cause you to catch your breath momentarily. In most cases eliminating alcohol or tobacco use, or taking beta blockers can help eliminate this condition. Premature Atrial Contractions (PACs). This is one of the most common forms of arrhythmia. This is caused when the body fails to send an electrical impulse to the heart, causing it to sit still rather than beating when it should. So you may feel heart skipping beats frequently. These are frequently caused by an excess intake of caffeine or hypertension throughout the body. Taking beta or calcium blockers can often eliminate this condition.